During our photo shoot with a bride and groom getting married at the Greater Tacoma Convention and Trade Center (GTCTC), we posed the couple on a floating staircase in front of a bright wall of glass with a screen print of tree trunks and a topographical map of Mt. Rainier. 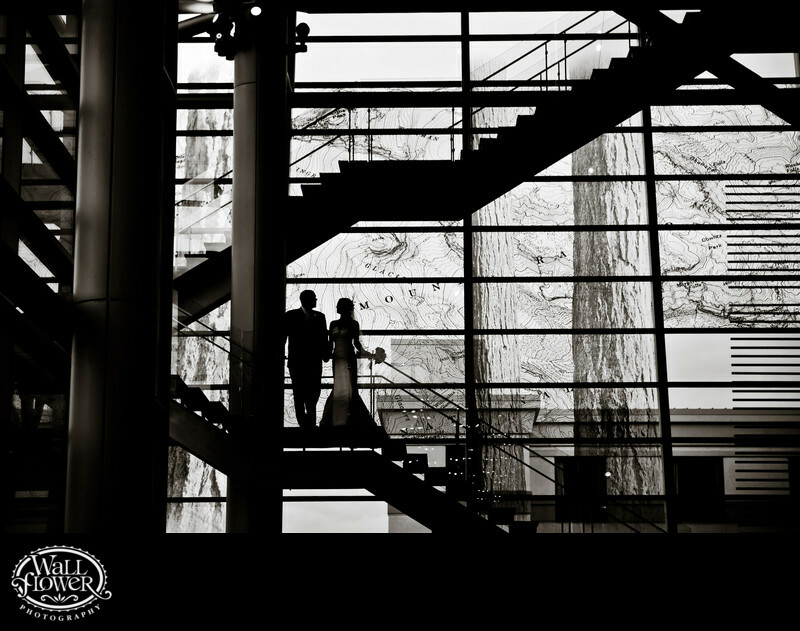 The stairs and couple are silhouetted against the much brighter background, and the black and white effect helps make the photo more about lines and textures than about color.